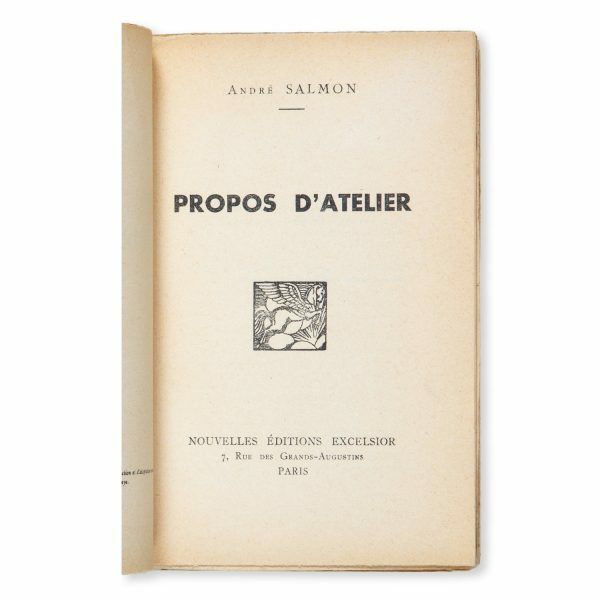 Paris : Nouvelles Éditions Excelsior, . 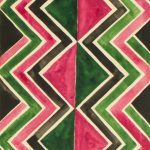 Octavo, original colour wrappers designed by Sonia Delaunay, signed in the image, inscribed (at a later date) in pen ‘à Jaques (sic) Sonia D.’, pp. 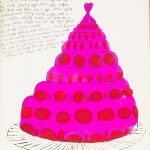 275. 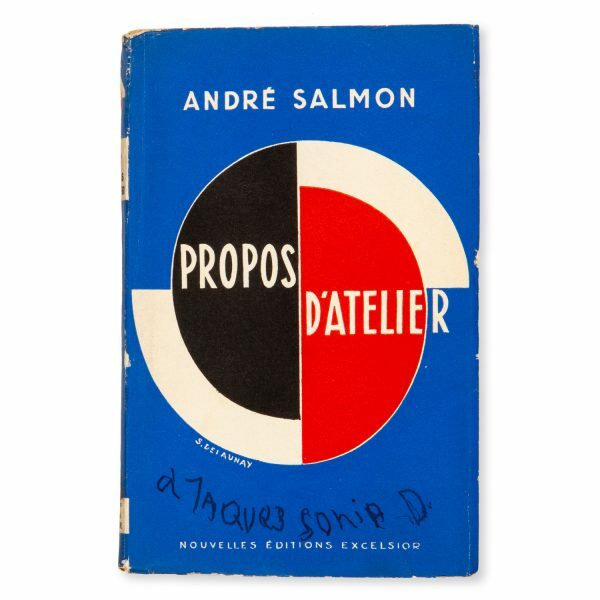 An early commercial design by the highly important simultanist, the front wrapper signed and inscribed to her close friend, author and gallerist Jacques Damase. 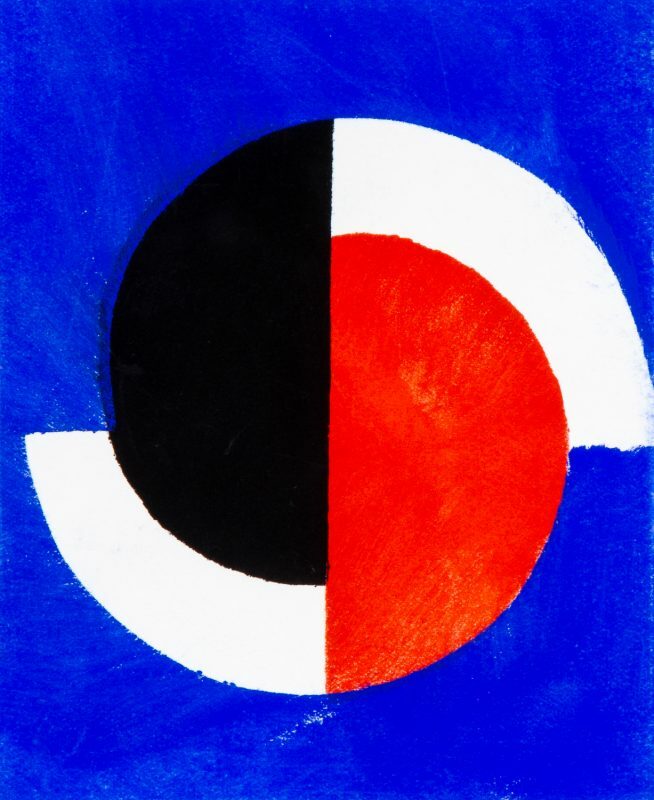 Together with : the original painted design for the printed cover image (or a version thereof) by Sonia Delaunay, gouache on card, 143 x 119 mm, unsigned, some light surface scratches, else fine. 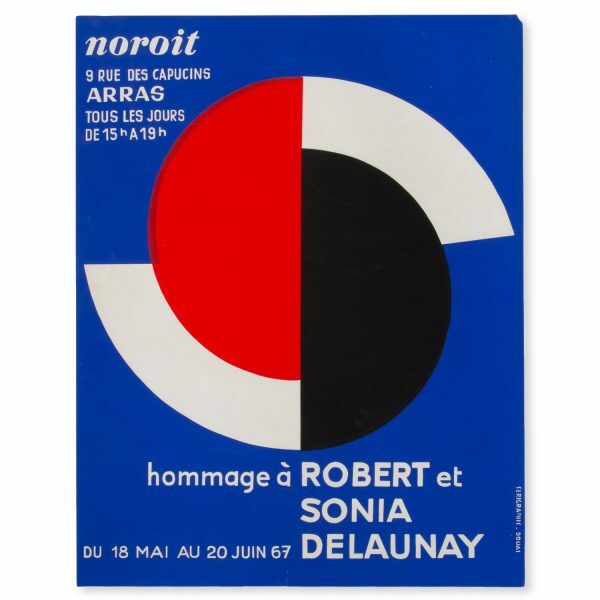 Accompanied by : Hommage à Robert et Sonia Delaunay du 18 Mai au 20 Juin 67. Arras : Cercle Noroit, 1967. 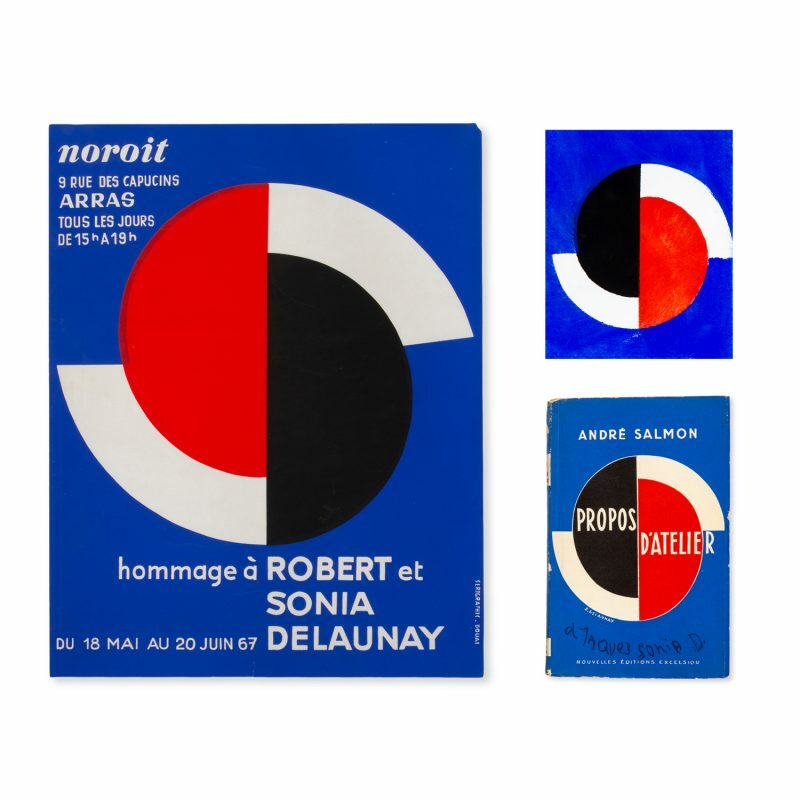 Screenprinted poster featuring the same Delaunay design (inverted), 480 x 378 mm, short 1 cm tear, light handling wear. 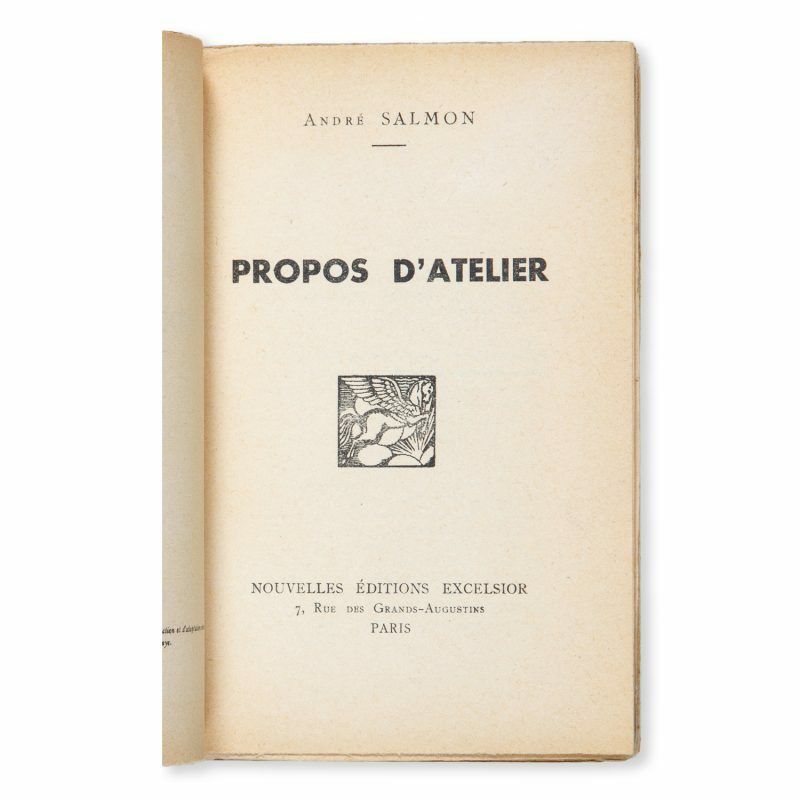 Provenance : the estate of the late Jacques Damase.